“Bull,” 9 p.m. Tuesdays, CBS. NEW YORK – Michael Weatherly doesn’t seem like the star of “Bull” so much as its gracious host – at least, if you’re visiting the Brooklyn, New York, sound stage where his new CBS drama is filmed. 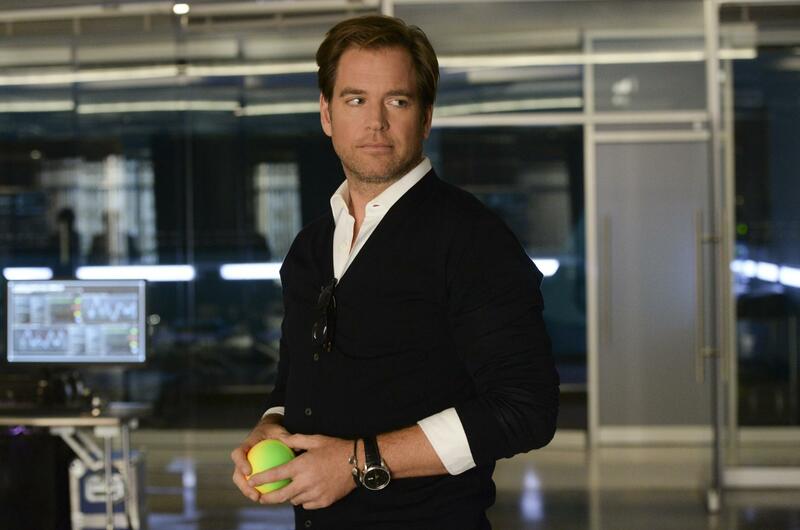 Oh, there’s no question Weatherly is the show’s leading man. He’s got the title role of Dr. Jason Bull, whose mix of psychological training, gut instinct and predictive algorithms has made him the nation’s go-to jury consultant. But there’s no sign of Weatherly pulling rank with either co-stars or crew. Between shots, he strolls through the expansive high-tech set meant to represent Bull’s Trial Analysis Corporation – with its banks of flat-screens, racks of blinking data processors and even a pingpong table – as he chats up his colleagues, occasionally tossing off a joke. The easy grin on his face is no performance. No wonder. Having excused himself from “NCIS” after 13 red-hot seasons, he is now off to a good start with his own series (which, airing Tuesdays at 9 p.m., has the good fortune to follow “NCIS,” still a ratings juggernaut in its 14th year). One of his goals for “Bull” has been to replicate the esprit de corps of “NCIS,” where he played Tony DiNozzo, one of its special agents investigating crimes that involve the U.S. Navy and Marine Corps. He points to his former “NCIS” mates David McCallum (a heartthrob a half-century ago on the spy series “The Man from U.N.C.L.E.”) and Mark Harmon (once a marquee name and People magazine’s 1986 Sexiest Man Alive). “Both of these men had experienced the highest heights” yet served “NCIS” as fellow members of the team, Weatherly said, adding that Harmon drew on his experience with ensemble dramas “St. Elsewhere” and “Chicago Hope” to bond the “NCIS” cast. Geneva Carr, who plays TAC neurolinguistics whiz Marissa Morgan, was Tony-nominated for her performance in the play “Hand to God” and won fans as “Mom” in a series of humorous AT&T commercials. Freddy Rodriguez (“Six Feet Under”) portrays Bull’s brother-in-law, Benny Colon, a lawyer who steps in as defense attorney for the company’s mock trials. He says when he was offered the role, “the first question I asked was, ‘Is Michael cool?’ Doing a network TV show is a grind, so the last thing you want is to be part of a show with a leading guy who’s (a jerk). I called around. They were all like, ‘Michael is totally cool!’ ” Cool was what Rodriguez found. Another way of putting that might be “loosey-goosey,” which is how Weatherly sums up his on-set style. It’s something he’s been working on since his early “NCIS” days: not to take himself too seriously. In his dressing room between scenes, Weatherly slips off his shoes before changing from Bull’s three-piece suit into his signature office duds (blue slacks, white shirt and black cardigan) for the next scene. For Bull, it’s not that simple. Weatherly got his own preview of just how onerous last summer, before filming began. He and his wife were in a Boston bar where another couple was making a scene. “The man was drunk and belligerent, and – I don’t know where it came from – I intervened. By pretending to agree with the man, I calmed him down. It was a Bull moment: being hyper-vigilant and sensing the best way to deal with the situation. “Then I got the guy and his wife into a cab and they left, never knowing who I was. Published: Nov. 16, 2016, 7 p.m.